Create TV today announces the launch of the Create Cooking Challenge, a national video contest for both professional chefs and home cooks interested in winning their own web series on CreateTV.com. Create is public television's most-watched multicast channel, airing on nearly 230 public TV stations and reaching 46 million viewers annually. Sponsored by American Public Television (APT), the Create Cooking Challenge runs February 8 – 29, 2016. To participate, entrants must submit online a single short (two minutes or less), original YouTube video featuring their best culinary project, recipe or tip. The contest will be judged by Create staff and an esteemed panel of public television chefs: Chris Kimball (America's Test Kitchen and Cook's Country), Pati Jinich (Pati's Mexican Table), Jacques Pépin (Jacques Pépin Heart & Soul), Sara Moulton (Sara's Weeknight Meals) and Chef Irie (Taste the Islands With Chef Irie). This panel will judge submissions based on the entrant’s demonstrated culinary knowledge, ability to present ideas succinctly, overall telegenic appeal, uniqueness, and the strength of the idea, recipe or tip. A complete list of judging criteria is available on CreateTV.com/challenge/ rules. 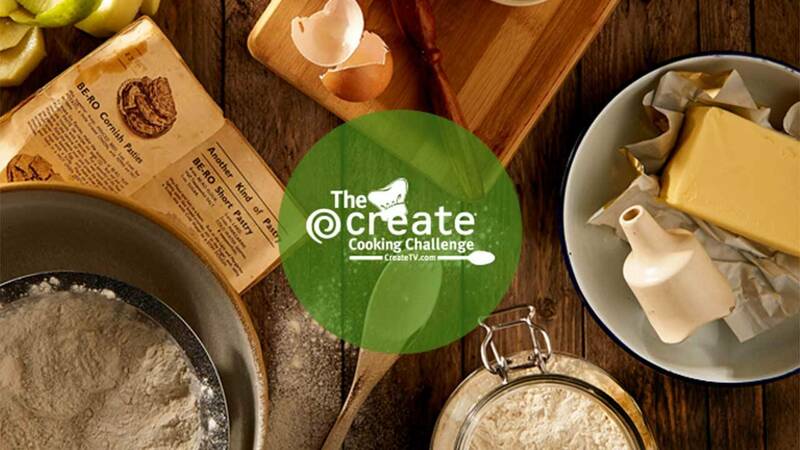 Those who want to enter the Create Cooking Challenge can find official contest rules and submission guidelines at CreateTV.com/challenge. Now in its 11th year, Create® is the premier lifestyle channel featuring public television’s most popular how-to series, including cooking, travel, home improvement, gardening and arts & crafts. Create is produced and distributed by American Public Television (APT); WNET, New York; and WGBH, Boston in association with National Educational Telecommunications Association (NETA) and PBS. Create TV is carried by 227 local public television stations nationwide, reaching more than 80% of USTVHH, and is seen in 20 of the top 25 U.S. television markets. Create's companion website CreateTV.com features extensive video, projects, tips, recipes, the Create TV schedule, a full list of more than 60 program titles, and the hosts featured on Create.